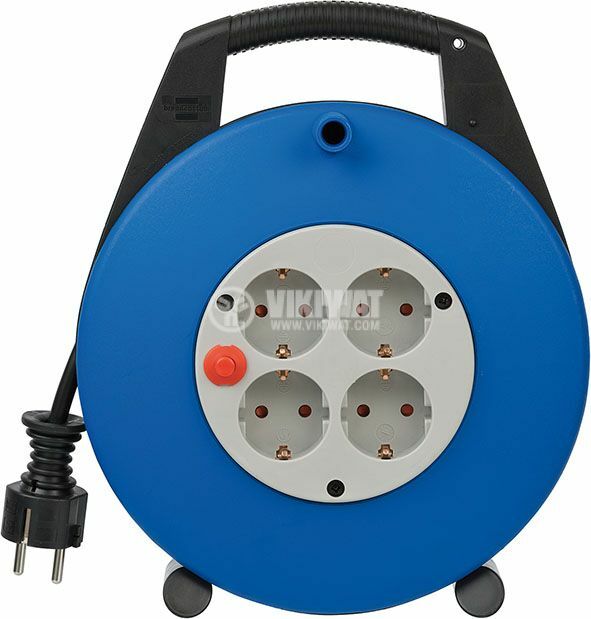 Compact, cable extension reel Vario Line from Brennenstuhl with 10m cable lenght ( 3G1,5) and 4 earted sockets ( 4x 2P+E, schuko). 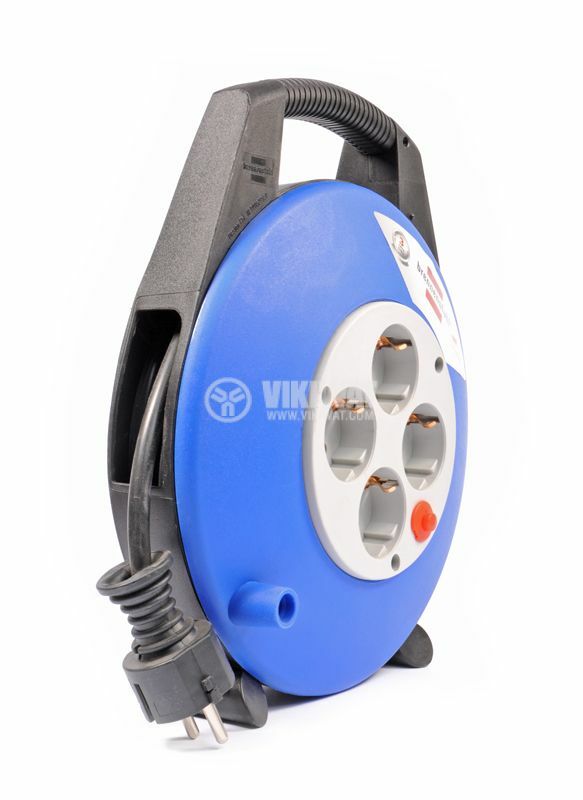 Robust body made of special plastic with a comfortable carrying handle. 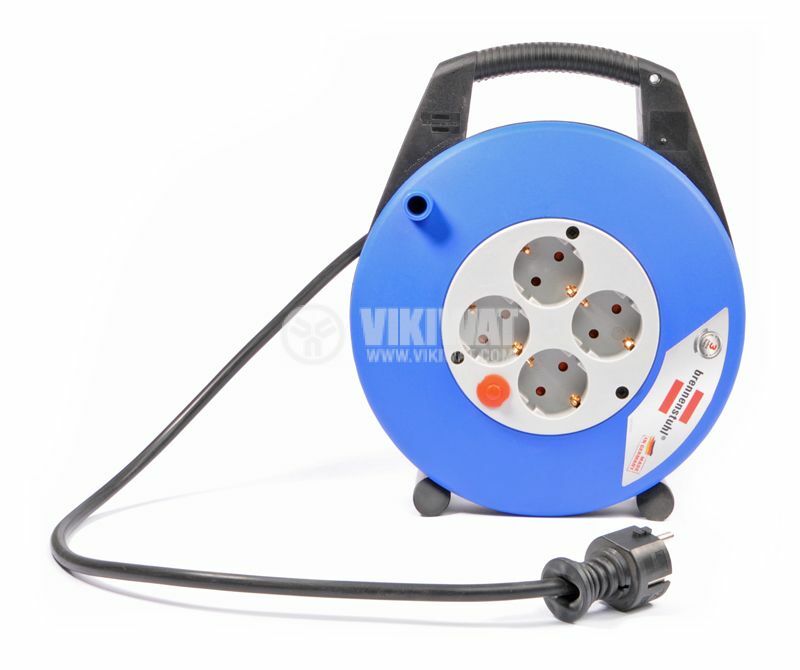 Suitable for indoor use in dry conditions IP20. 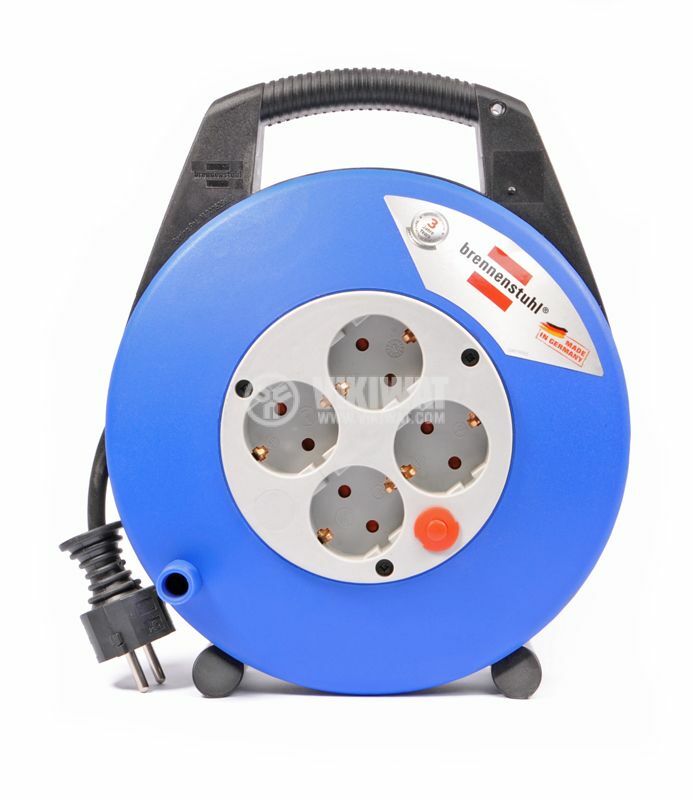 Childproof sockets and therma protection. Made in Germany. 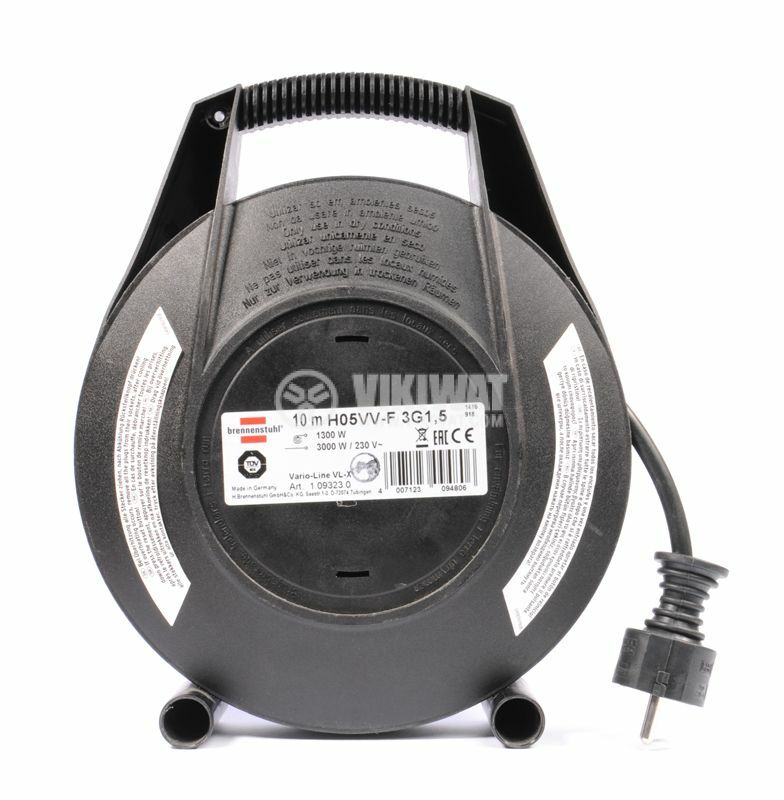 The reel is designed for use in the home or garage and provides a convenient and easy-to-carry way to power 4 devices at a distance of up to 10 meters. The housing is made of sturdy plastic, so is the ergonomic carry handle. 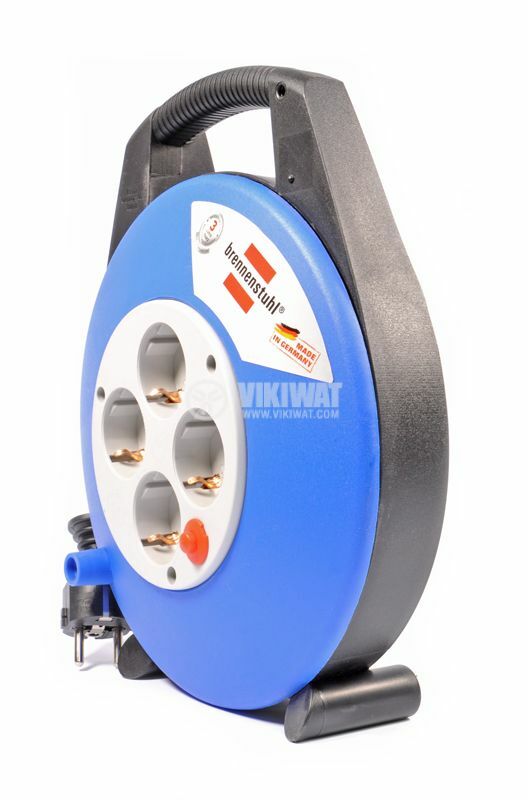 The splitter is also equipped with built-in overload protection (fuse). Brennenstuhl са с малко по - висока цена и доста по - високо качество.